This research investigates the effect of the conventional method of teaching vis-à-vis the effect of an alternative method of teaching on students’ performance in financial accounting. Two groups, the experimental group and control groups of students were subjected to different treatments and various test. Both groups were also subjected to pretest and posttest using the same instruments. The population of this study comprised of all +1 students studying financial accounting in selected schools in Dharapuram. Findings of study indicated a difference in pretest and posttest mean performance scores of students in control and experimental groups; and mean performance score of students taught with guided discovery method and those taught with conventional method in financial accounting achievement posttest scores. The study also revealed no difference in the mean performance scores of male and female students taught with guided discovery and conventional method of teaching respectively. Keywords:Accountancy, +1 Level, Effectiveness Spot Guidance Technique, Learning. Teaching accountancy is not an easy job. It gives stress to the teaching community. Because, it is possible to earn the accountancy concept by understanding only. For that, the teaching faculty has to take lots of ways. It is proved in many studies (Raux and Smith, 2007, Bonwell and Eison, 1991, Meyers and Jones, 1993, Raux, 2004, Smith and Meador, 2001) have shown that students retain more information when active learning is utilized in the classroom. As the students of +1 in the beginning, it is little difficult to teach and make the students know the concept clearly. v To study the effectiveness of spot guidance in learning accountancy at +1 Level. v To analyse students’ perception towards learning accountancy at +1 Level through mean achievement scores of students taught with the conventional method of instruction and students taught with guided discovery method. v To give suggestions to improve the efficiency in learning accountancy. Ho: There is no significant difference in mean achievement scores of students taught with the conventional method of instruction and students taught with guided discovery method. Ho: There is no significant difference in the mean performance scores of male and female students taught with conventional method of instruction. This research was carried out using quasi–experimental design of pre-test, post-test control group. The design offered less rigorous experimental control as compared to the true experimental design. The design was specific with non-randomized control group and non-equivalent groups. This was because the subjects were taken as intact groups composed of mixed of low and high achievers. In addition, the design was expected to correct various group differences statistically. The population of this study comprised of all the +1 students learning financial accounting students with the population of 90 students in studying Dharapuram. Purposive sampling technique was adopted and used to select schools for the study. A survey of co-educational public secondary day schools was carried out to identify schools that have at least a stream of financial accounting in +1 student. Only schools that have at least one graduate financial accounting teacher with relevant professional teaching qualifications teaching the group used for the study was chosen. Chosen schools were randomly assigned to experimental and control group while students in the sample schools remained in their in-tact classes. The data collection phase lasted for five weeks comprising one single period of forty minutes and double periods of eighty minutes per week. The single periods were used solely for worked examples and they proceeded the double periods which were used for instructional activities on the selected topics. All the students in both groups were pre-tested with financial accounting achievement test a week before treatment began. The pre-test scores served as a basis for comparing students’ performance in financial accounting test before and after treatment. The experimental group was taught with guided discovery method of instruction while the control group was taught with chosen accounting concepts with conventional method using only the chalkboard and the recommended accounting textbooks. There was no time for students’ interaction in groups. The teacher did most of the talking without any other teaching aids besides chalk, chalkboard and the recommended textbooks. The treatment group was taught with guided discovery method, graphical representations/organizers were employed to guide students’ cognitive process and mental road maps on important points. Relevant questions were carefully matched with the relevant concepts. The concepts were organized logically in order to facilitate easy information processing and as stimuli to elicit students’ response to relevant questions. Practical work on accounting practice was given to students after each classroom instructional session. Descriptive statistics such as mean and standard deviations were used for mean achievement score analysis while inferential statistics such as t-test/z-test were used to test relevant hypotheses. The above table shows that the demographic profile of the students +1 accountancy. 53.3 per cent of the sample respondents are female, 47.8 per cent of the respondents are in the age of 16 years, 60 per cent of the respondents are residing in urban area. The researcher gave equal weightage to Government, CBSE/State board and matriculation schools in Dharapuram. Also the researcher gave equal weightage to controlled and experimental group i.e. 50 per cent from each group. The above shows that,P value is less than 0.05, null hypothesis is rejected at 5 per cent level with students’ pretest, mean achievement score and posttest mean achievement score in both groups. Hence, there is significance difference between students’ pretest, mean achievement score and posttest mean achievement score in both groups. The above shows that,P value is less than 0.05, null hypothesis is rejected at 5 per cent level with mean achievement scores of students taught with the conventional method of instruction and students taught with guided discovery method. Hence,there is significant difference in mean achievement scores of students taught with the conventional method of instruction and students taught with guided discovery method. The above shows that,P value is less than 0.05, null hypothesis is rejected at 5 per cent level with the mean performance scores of male and female students taught with conventional method of instruction. Hence,there is significant difference in the mean performance scores of male and female students taught with conventional method of instruction. Ho: There is a significant difference in the mean performance scores of male and female students taught with guided discovery method. The above shows that,P value is less than 0.05, null hypothesis is rejected at 5 per cent level with mean performance scores of male and female students taught with guided discovery method. Hence,there is significant difference in mean performance scores of male and female students taught with guided discovery method. Ø Slow learners can trained by using these kinds of methods. 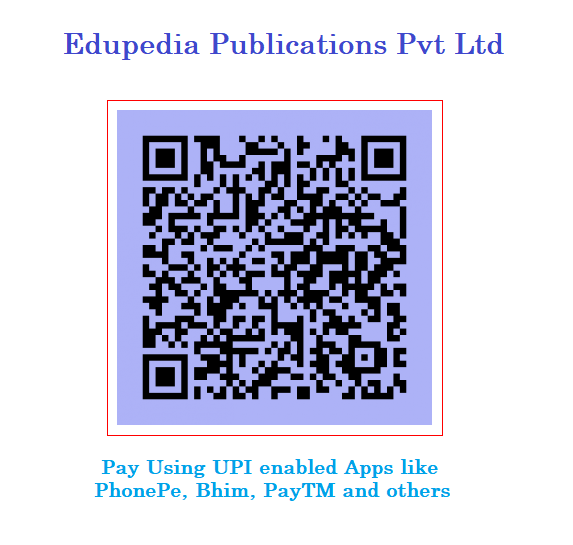 Ø It helps the students to learn the concept easily and clearly. Ø As it motivates the students to study their subjects, it should be followed by the teaching faculties. Ø It gives job satisfaction to the teaching staff. So, all the faculty member can follow it. It is challenge for each and every teacher to teach well and make the students to learn well. The success of teaching is to make the students to learn the concepts. Some students have ability to understand the concept when the teacher teach the concept. But some students may not easily understand some concepts purely teaching alone. For them, the teacher has to take some extra efforts. With the help that efforts, the teacher can make all the students to learn well the concepts clearly and perfectly. Here, this study is proved that with the help of spot guidance, the teacher can make all the students to perform well. Akintelure, S.L (1998). Comprehensive book keeping and accounts for senior secondary school: sure-bet for WAEC. Lagos Johnson publishing Ltd.
Ausubel, D.P (1966) Educational psychology: a cognitive view. New York: Holt Rinehart and Winston. Cantrell, D. (2004).Using a variety of teaching methods and strategies: recovered from online. Goggle search. Golden, S. A. R. (2011). Problems and Prospectus of Distance Education. Quality Enhancement In Distance Education For Life Long Learning, 1(1), 343-344. Golden, S. A. R. (2016). RURAL STUDENTS’ ATTITUDE TOWARDS ENGLISH AS MEDIUM OF INSTRUCTION IN HIGHER EDUCATION – AN ANALYSIS. International Journal of Research, 3(Special Issue - 16), 1-10. Golden, S. A. R. (2017). Attitude of Students and Teachers towards E- Learning - An Analysis. Recent Research in Social Science & Humanities, 1, 5-10. Golden, S. A. R. (2017). Recent Research In Social Science & Humanities. NECO (2002). Regulations and syllabus for senior secondary school certificate examination. Minna: NECO. Onwuegbu, 0.8 Kpangba, C. (1995).Principles and methods of teaching: a practical guide for effective teaching. Agbor: Pon Publishers Ltd. The Federal Republic of Nigeria, (FGN,2004) National Policy on Education: Lagos: NERDC. Toby, U.T. (1997). Essentials of Management and leadership in vocational and technical education. Jos: Nigeria Association of Technology teachers.